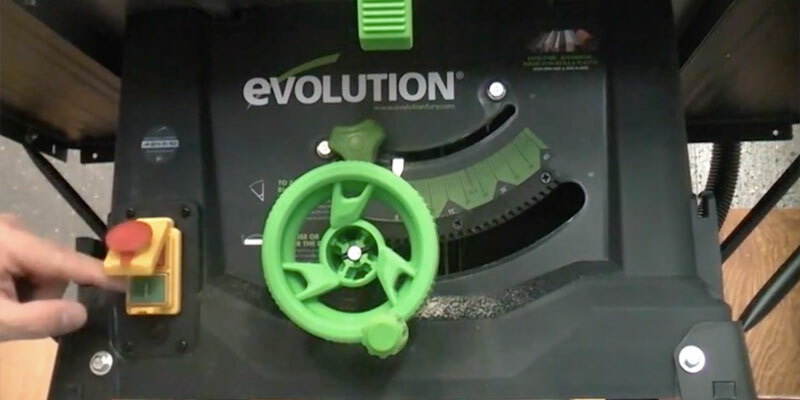 Owing to 2 clamps at the bottom of the housing, a user can install the saw on a branded stand for the added safety of use and handiness during operation. Requires a voltage converter for 220-240V mains voltage. This model is one of the most well-balanced table saws with overload protection that is capable of cutting through hardwoods, wet or frost-bound timber blanks fearlessly. 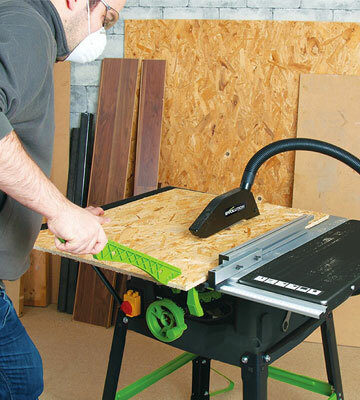 This table saw comes with all tools necessary for its hassle-free assembly and ease of use. Thanks to the anti-vibration clamp device that prevents material movement, cutting even thin slices of metal and wood has become an easy task. 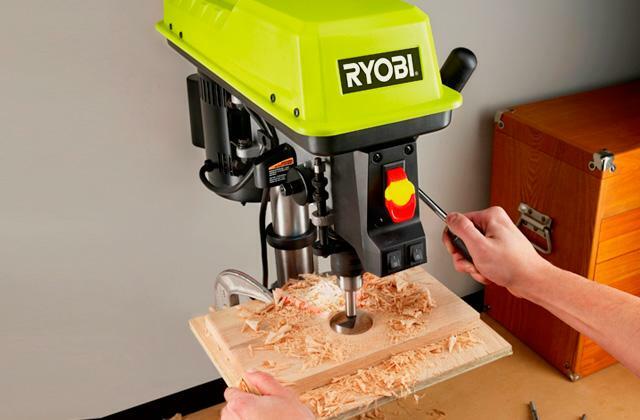 RPM is low in comparison with other table saws from this review. Anyone looking for a practical and versatile table saw at a reasonable price should consider buying the FURY5-S from Evolution Power Tools. Though not the fastest, this table saw will impress you with its productivity cutting easily through metal, steel, plastic and tons of thin and thick wood. 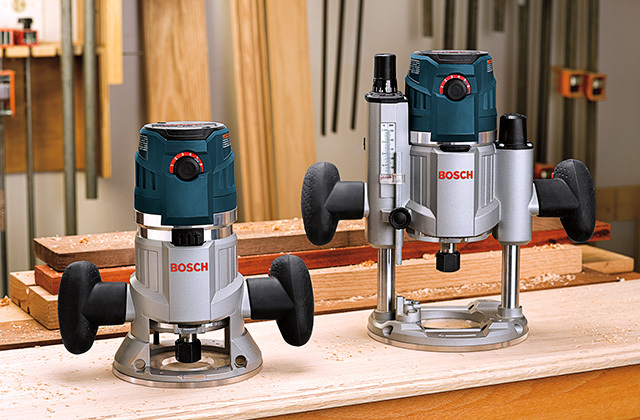 The blade spins at the whopping 5000 RPM ensuring more accurate and smooth cuts on different wooden materials. The miter gauge is a bit flimsy. If you're looking for a table saw to do a good job of sawing through large wooden panelboards or thick wooden stocks frequently, look no further since this tool will meet all your needs. 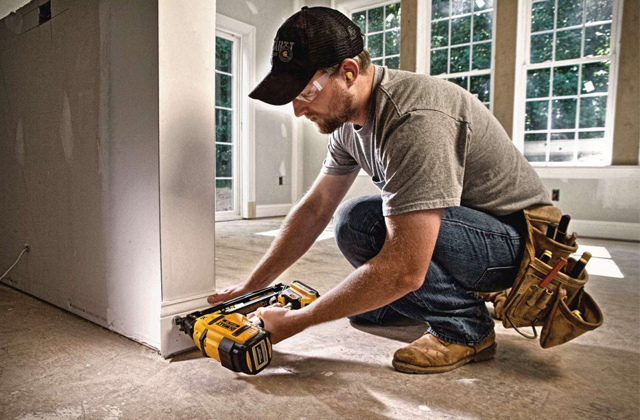 The Lumberjack BTS210 is considered to be one of the most compact and lightweight table saws on the market. Thanks to this, you can transport it effortlessly. Some users find the blade diameter not big enough. If you aren't particularly interested in buying a professional tool, this compact saw by Lumberjack will align with your needs. 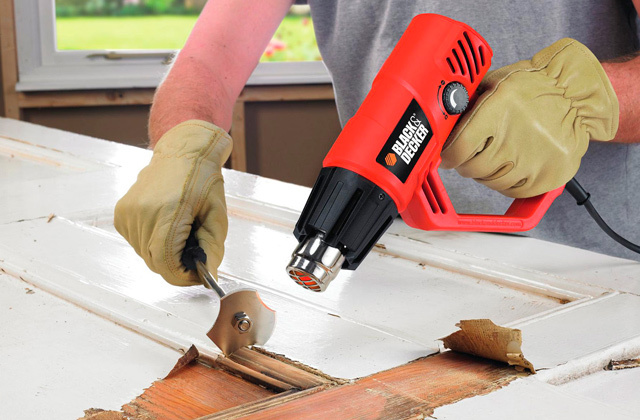 This little machine is convenient to use and has ample power to rip wood up to 48-mm thick. The small footprint of the table saw's stand offers an ability to place the power tool even in small workshops or garages. It will take you some time to assemble the table saw. On the whole, this table saw is a fair good power tool for finishing treatment of wooden materials. However, it can also be used for sawing up large-format wooden blanks resulting in smooth and accurate cuts. 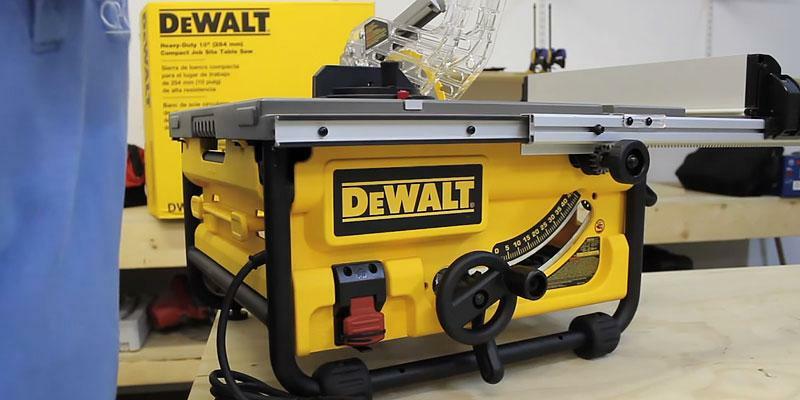 We'd like to present to you the DW745L table saw from DeWALT company - the world-known manufacturer of power and electric tools that are widely used in the construction industry. First of all, it's worth saying that the given model is designed for a table mounting, so you should decide on its installation site in advance. Now, let's proceed to the model's performance capabilities. The key component of the whole construction here is a really powerful motor with the 1.7 kW yield, capable of spinning the blade at 4800 RPM with no load. 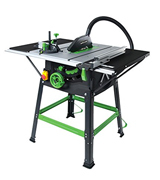 Additionally, the table saw is compatible with the blades of up to 250 mm in diameter and, fortunately, the power tool comes fitted with a 250-mm blade with 24 teeth. Owing to such high motor power the cutting depth of the saw equals 77 mm if you angle it at 90 degrees and for sawing wood into pieces at 45-degrees, the maximum cut depth you can get is 57 mm. In case you need to make some bevel cuts, the included miter gauge along with a built-in bevelling system with scales would come in handy since they will not only help you set the right bevel range but also will hold a wooden piece firmly in place. Of course, the tool of this quality should feature a decent safety system which it does, indeed. The table saw comes with a blade guard to protect users from injuries and a dust port to keep all dust and wooden chips away from contractor's eyes. A riving knife behind the blade protects it from damage and prevents its stumbling during vibrations. On top of that, the saw features an overload protection system which allows the tool to cut through all kinds of materials without overloading its motor a lot. Summing up, we may say that the DW745L saw is one of the most compact and efficacious table saws on our shortlist that can be used for sawing pretty large timber blanks with ease. 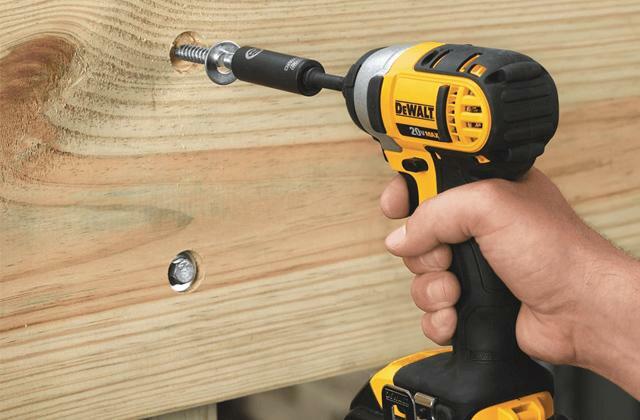 If you look to buy a tool that would be functional, usable, and at the same time affordable, we'd recommend you to look no further than the FURY5-S from Evolution Power Tools. This versatile table saw was designed with the needs and requirements of both professional constructors and amateur DIYers in mind so it combines some of the best features that allow for its superior performance. 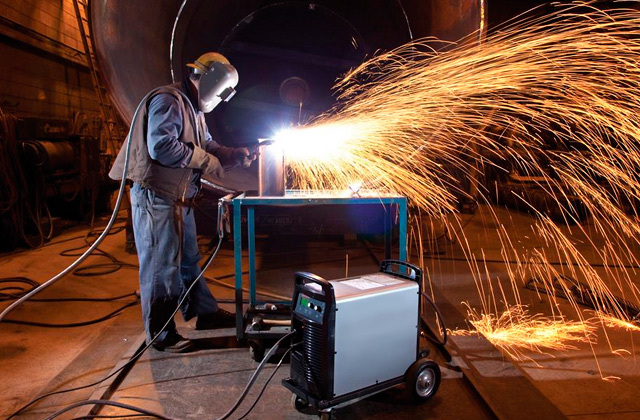 The FURY5-S can slice through all kinds of materials pretty easily while producing neither dangerous sparks nor heat during operation, which makes it a user-friendly and safe option. One more thing that was added by the manufacturer to ensure the safety of use is a push stick with the help of which one can adjust the material position on the surface of the table without touching the blade. However, these aren't the only advantages of the FURY5-S. 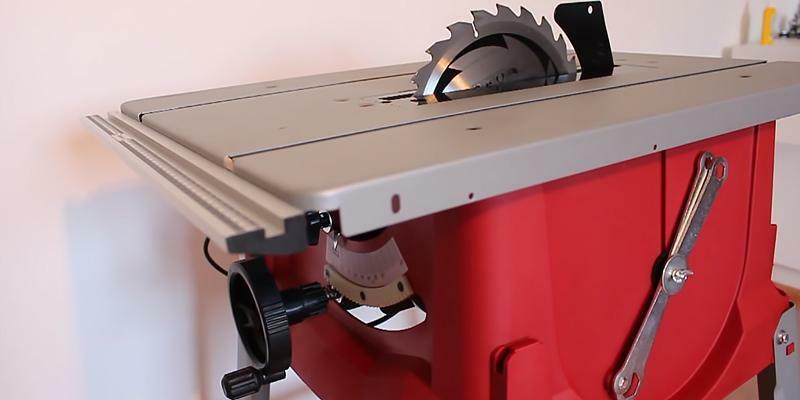 This table saw also boasts some great usability features. It has a tilt and bevel function and it comes with a handy guide rail, which makes it well suitable for the tasks that require accurate, angled and small cuts. The FURY5-S is also supplied with a mite angle cutting device that eliminates vibrations during operation and keeps the material firmly in place so that you do not need to hold it by hands when performing cuts. The FURY5-S has a dust extraction port which allows keeping the working environment clean of sawdust. All you need to do is connect a vacuum hose before using the saw. The hose, alas, isn't included in the box, which is probably the only drawback of this tool. But you're free to use a hose from your conventional vacuum cleaner. 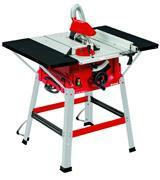 Considering the best table saws, we couldn't put down the model from the German company Einhell. Today we are going to review its TC-TS 2025 saw that can be safely described as one of the "speediest" table models since it offers a ground-breaking blade's rotation speed of up to 5000 RPM. On installing the included blade with 60 teeth you will be able to perform crosscutting with a pretty clean cut. 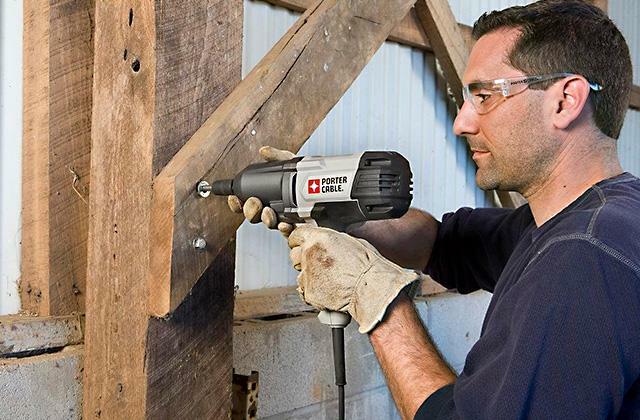 Moreover, the built-in motor allows operators to cut easily through 85-mm timber blanks with the blade angled at 90-dergrees and up to 65-mm wood stock at 45-degrees. Additionally, in case you need to crosscut the board, you can use a miter gauge in order to get the required bevel range right up to +\- 60°. As regards the working surface, at the first glass it looks pretty much usual of a standard size yet it can be adjusted by fixing additional inserts so that a user could cut boards to the desired size. The additional inserts can extend the overall dimensions of the table up to 220 mm on three sides. It means that it would be easy and convenient to cut fibreboards, particleboards, OSB board, and other pretty bulky wooden panelboards. We were also surprised with the sturdiness of the base frame that ensures comfortable working height and stable position of the whole construction when working with some heavy materials. The manufacturer, in turn, has covered all risks of injuries during work by installing a protective hood on the blade and a dust port. For enhanced protection, the saw comes with a raving knife and a push stick so there's no need for an operator to force wooden bits in it by hands at all. All in all, the given model is the best choice for ambitious DIY enthusiasts who frequently saw large wooden panelboards or think wooden stocks. 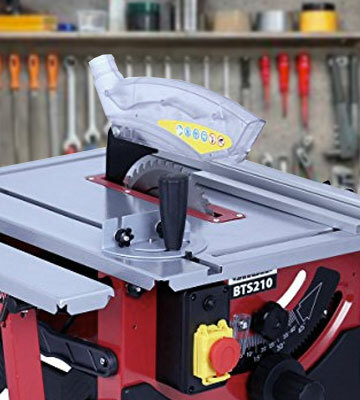 If you do not need a professional table saw, we heartily recommend you to take a look at this compact Lumberjack BTS210, a table saw that provides adequate power and doesn't take up a lot of space. 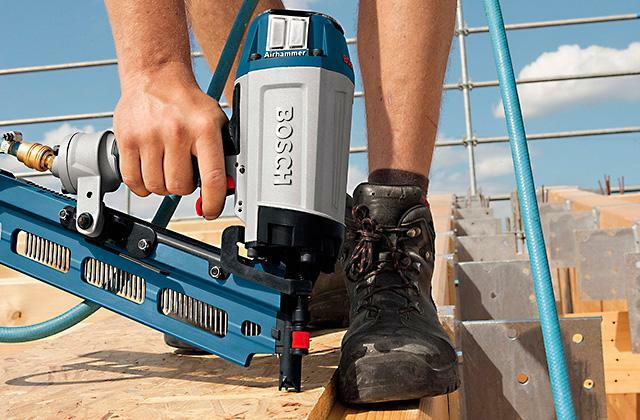 Fitted with a 1200-Watt motor, it produces enough power to rip both softwood and hardwood and is capable of delivering smooth and accurate cutting, due to its excellent performance of 4800 RPM. As you'd expect, the Lumberjack BTS210 can cut wood at 45° and 90° angles and allows for adjusting the cutting depth at 45 mm and 48 mm correspondingly. Though these specs are considered to be pretty average, in view of the fact that the Lumberjack BTS210 isn't a professional saw, they are more than adequate for most cutting tasks. We think one of the biggest advantages of the Lumberjack BTS210 is that it's top can be extended with a foldable table. 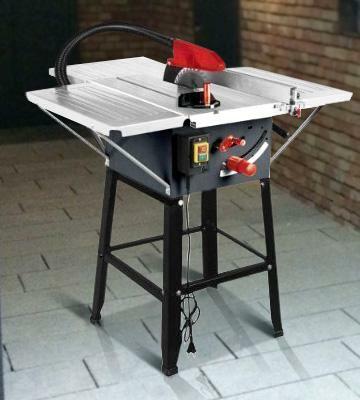 Thus, you get a table saw that can be easily folded for compact storage and extended by attaching an additional table to suit various applications. A perfect combination of mobility and minimal storage requirements. The Dirty Pro Tools table saw is notable not only for an affordable price but also for pretty efficient operation. 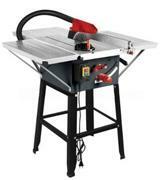 The table saw is equipped with an 1800W motor and features blade's rotation at up to 4700 RPM. Such productive capacity is pretty sufficient for producing a maximal cutting depth of 74 mm in a normal blade's position and up to 63 mm at the 45-degrees angle. The included 250-mm blade with 36 teeth guarantees accurate sawing especially since the speed of blade rotation provides such an opportunity. 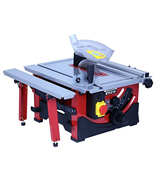 Apart from long grain and cross-grained cuts, the table saw can be used for miter cutting as the table saw is supplied with a miter gauge too. 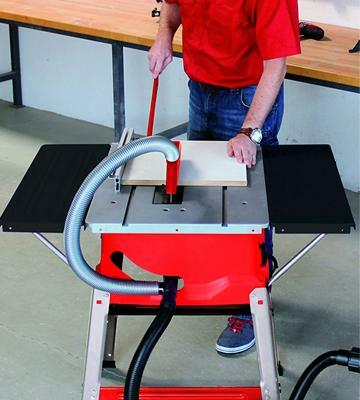 The given model features an extension table that can be expanded up to 944 x 948 mm, thus making operator's work much more comfortable when sawing some large-format wooden blanks. On the other hand, the table saw won't take much space in your workshop since its dimensions are mere 432mm x 625mm when not being extended. 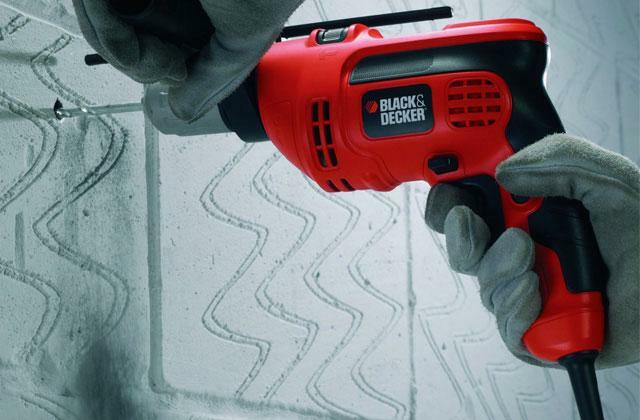 As regards the safety features of this power tool, the blade is covered with a protective hood ensuring that you won't get injured under any conditions. Moreover, the protective hood features dust outlets for keeping your working space free of dust and wooden chips that may affect your respiratory tract. 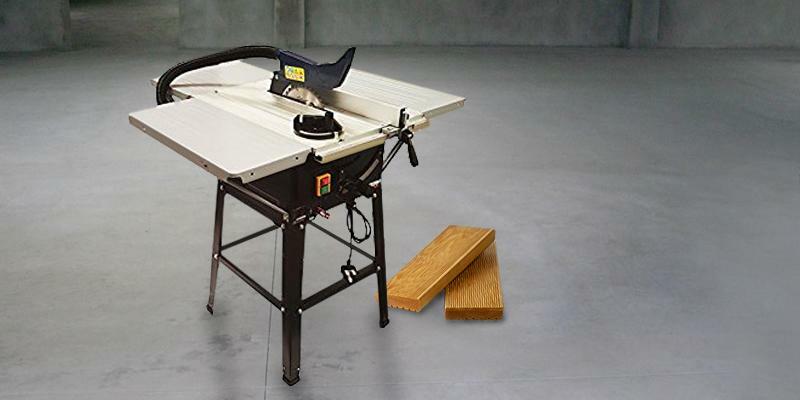 On the whole, the Dirty Pro Tools table saw is a good power tool for doing a finishing treatment of wooden materials. If you run a woodshop and/or need to cut plenty of wood on a regular basis, a table saw is a necessary thing to have. 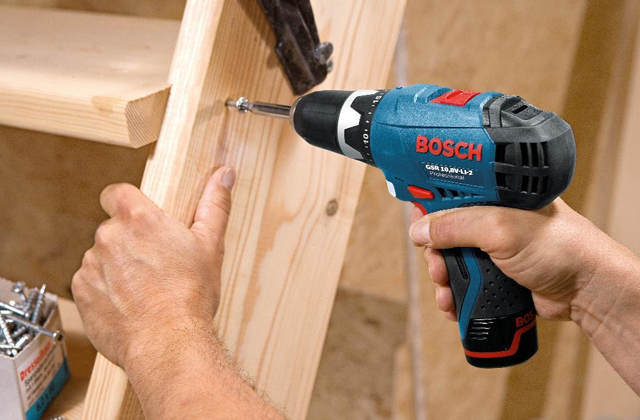 With improved capacity and advanced safety features, it allows for ripping, beveling, crosscutting, and mitring boards of all types of wood with great ease. 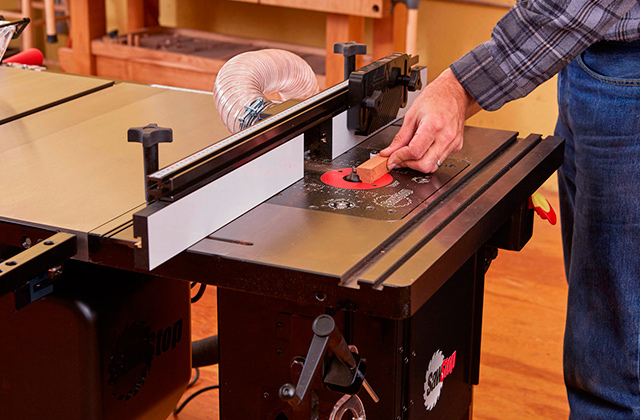 After spending many hours researching all available choices, we’ve decided to focus on these 5 best table saw models that should align with the needs of most woodworkers. Identify the features that are right for you and pick the saw that suits your cutting tasks best. Our guides should make it easier for you to pick the tool that’s best suited for your projects. If all you need is to cut a few pieces of wood from time to time, a table saw might be not the best of options to consider. Discover our circular saw reviews to know what other choices are available and which of the tools is best for you. 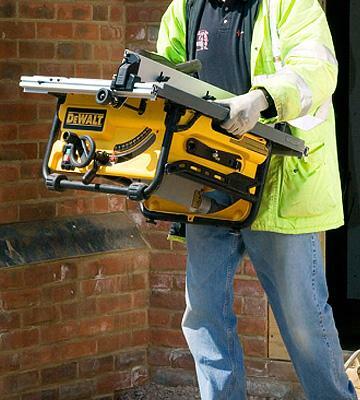 Just like any equipment, table saws aren’t equally high-performing. And this shouldn’t come out as a surprise since there have got to be models for peculiar needs. People who need using a table saw only from now and then have no reason to overpay buying a professional grade equipment while those who use saws on a regular basis won’t get any use out of a basic tool. That’s where the understanding of your personal needs and daily activities is quite important. 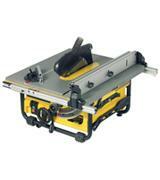 In general, the capacity range of table saws varies between 1 HP and 4 HP. The higher this number is, the thicker wood a table saw will cut. The other feature to be considered is the number of rotations per minute (RPM in other words) which determines how coarse or smooth a cut will be. You mightn’t have really thought about it but a high-capacity engine of a saw doesn’t ensure its smooth cutting through the hardwoods. What it does deliver are power and strength. Therefore if you need to slice the wood pretty accurately without chopped off bits at the edges, go for a saw with 5,000 RPM and higher. For most other jobs that don’t need as much scrupulosity, 3,500 RPM or so would suffice. Table saws can also be angled to do all sorts of cutting, including grooves for joining boards. However, it’s worth making a point that at steeper angles the teeth of the saw wear out also much quicker. Consider the blade types compatible with different models. Mostly, they differ in the number of teeth in the set. For smooth and accurate slicing of boards it’d be preferable to go for a saw with multiple teeth, though, they do require more scrupulous treatment and frequent sharpening. You also need to check on the overall table saw capacity so that you can see how many boards and of what thickness would fit in it. Anyway, let’s make a short summary of what’s been said above. Buying a decent table saw is surely an investment, with that you acquire a capacious tool that would last in a long time, ridding you of the need to do all hard woodworking all alone. Even intensive use wouldn’t screw its service life, for all parts and blades can be bought separately and replaced. That means you can fearlessly use your saw for all types of jobs and worry not that its performance might get worse. Sawing isn’t particularly a safe activity and of course, observing safety measures is important. Notwithstanding that most up-to-date table saws are now equipped with guard systems, wearing a protective outfit should be a must. Rather than that, manufacturers produce saws with a thought-out design to include all possible safety features to make operation with a saw not only secure but also comfortable. Most saws today feature a magnetic switch to protect a saw from overload. It also comes in useful in case of a power outage, for it automatically switches the blade to the “off” position and you don’t need to worry about it yourself. The other safety features that should be considered include a blade guard - a detached transparent box to enclose the blade and keep operator’s fingers away from the blade. Anti-kickback pawls should be also considered. More than anything else of the entire saw mechanism they work for operator’s security, preventing serious injuries that often occur when wood pieces get jammed at high speeds. Not for safety but rather for operator’s convenience, table saws are often equipped with a dust collector and storage compartment. There you can keep away all construction debris and store essential tools, screws, blades, earmuffs, gloves, and so on and so forth. 1. 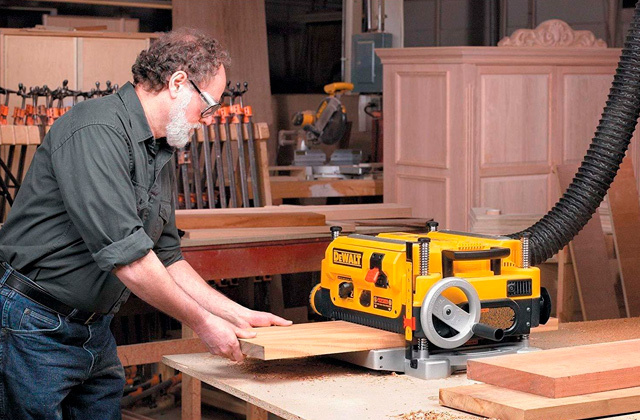 Mark Hunter Table Saws - a Toolstop Buying Guide, TOOLSTOP. December 16, 2013. 3. 9 Features to Look For in a Table Saw, eBay. March 10, 2016. 4. 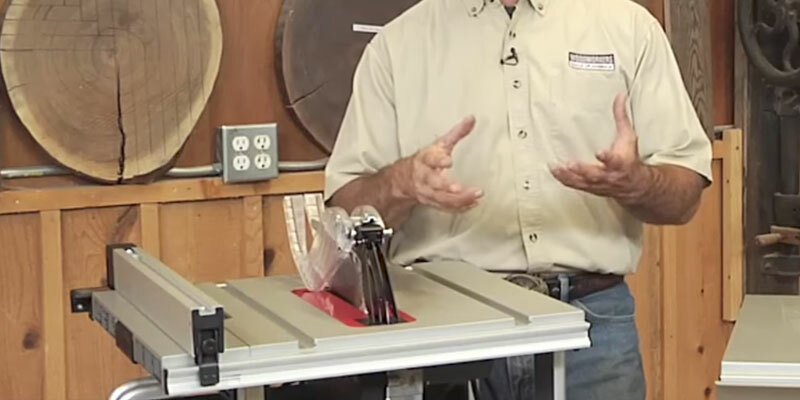 Chris Baylor Determining the Table Saw Features You Need - and Don't Need, About. April 10, 2016. 5. Table saw, Wikipedia. December 26, 2016.